In today’s world, depression is a terrible health problem that effects millions of people worldwide. If you visit your doctor because you are feeling depressed, more often than not they will prescribe some form of antidepressants to take without even checking to see if you are deficient in any key nutrients that could be the underlying cause. This is astonishing seen as a lack of nutrients can quite often lead to depression, leaving the underlying depression untreated and instead the doctor has simply offered a quick fix that can lead to addiction to prescription drugs. In the real world, antidepressant drugs are not the solution, as they can be addictive and can have serious side effects that can leave you with much more serious and longer lasting health problems, not to mention the liver damage that they can cause. If you want to do the right thing for your health, you can try an alternative route before resorting to harmful drugs for the answer. If you are feeling that you are depressed, or have been diagnosed with depression or any kind of mood disorder, it could be caused by a nutritional deficiency. Below, we take a look at the deficiencies that can cause depression. Research suggests that often, depression sufferers a deficient in a number of key nutrients and so it really is quite shocking that doctors do not check for deficiencies before prescribing mind-altering and dangerous prescription drugs. Before trying to figure out if you are deficient in any particular nutrient, first look at your diet. If your diet is loaded with sugar, sat fats and general junk food and fizzy drinks, it’s going to be contributing to the problem and is likely to mean you’re deficient in a large number of key nutrients because most junk food has very little or no nutritional value at all. Meaning when you eat it, your body is getting no nutrients. And since your diet is where your nutrition comes from, you won’t be getting key nutrients anywhere else. By eating healthily, you are improving your chances of getting the right levels of key nutrients into the body, helping to improve mood and fight depression naturally. 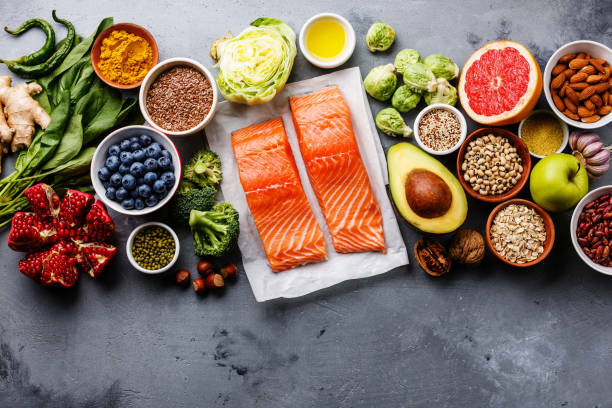 Omega 3 fatty acids are a key nutrient that is essential for a healthy brain, and since the brain’s chemicals are what can often lead to depression, it is important to get the right balance of your omega 3’s. General health advice states to eat oily fish to get omega 3 but if you’re vegan, vegetarian or eat raw food, you can also get it from nuts and pulses. Research has shown that many people with mood disorders and depression have n omega 3 deficiency, so sorting out your levels might help. More than 85% of people are believed to be deficient in vitamin D in the UK. Vitamin D is another nutrient essential for brain health, and the best way to get your vitamin D is through natural sunlight and getting outdoors. In a Journal Clinical Nutrition study, almost all participants with depression and panic disorders were found to have a severe vitamin D deficiency. The conclusion of the study was that people with vitamin D deficiency were far more likely to suffer from depression and other mood disorders. If you spend long hours in an office, warehouse or other building with no natural light, make sure you pop outside on your breaks to get some sunlight. You can also make time by walking to work instead of driving or catching the bus to get longer sun exposure periods, or could take a stroll on lighter evenings after dinner. You don’t need to go over the top – too much exposure can increase the risk of skin cancer so be careful not to burn or spend long periods when it’s very bright and sunny. There have been lots and lots of studies that have uncovered links between depression and a deficiency in the B vitamins so it’s important to make sure you keep your levels up if you are a sufferer. B vitamins are found naturally in many nuts, lentils, bananas and dried fruits. Many studies have revealed that depression patients and those suffering with mood disorders such as Bipolar Disorder are often found with deficiencies in important minerals including zinc, chromium, iron and folate. You can buy mineral and vitamin deficiency testing kits to see if you are deficient in any of these and can increase your intake in foods high in these or take supplements to increase levels and help to beat your depression. Iodine is a key nutrient for a healthy thyroid gland, which is an important part of the body that controls many things including immune function and brain function. A deficiency in iodine could cause an underactive thyroid gland which can lead to depression and other mood problems. By eating foods high in iodine such as seaweed/kelp, potatoes, cranberries and shellfish if you eat fish, you can help to keep the thyroid gland healthy and this can help to reduce depression symptoms. Nine of the amino acids are essential but are not manufactured naturally by your body and so it is essential to get them from natural foods that contain them. It is important to eat a variety of healthy foods to supply the body with the amino acids that are essential to the body. These amino acids help to reduce depression symptoms because they are used in the brain to make and repair neurotransmitters that are needed for a healthy brain. Neurotransmitters are chemical signals in the brain that are responsible for mood control. An imbalance in neurotransmitters is the leading cause of many mood conditions and depression.